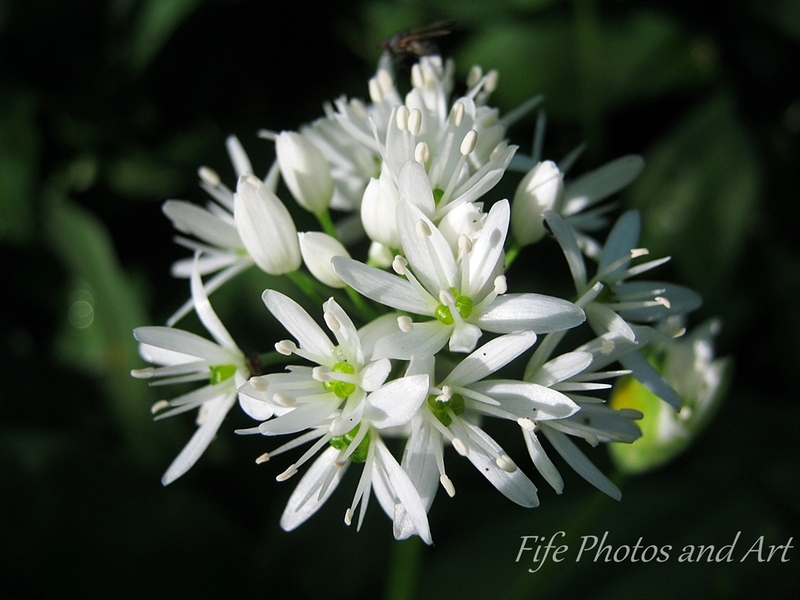 This entry was posted in Fine Art Photography, Wildlife and tagged Balbirnie House Park, Fife, Glenrothes, nature, ramsons, Scotland, wild flowers. Bookmark the permalink. Well your post has taught me something: I did not know the proper name for wild garlic and now I do. I actually used to cook with wild garlic fairly frequently as it grew near my garden in Argyll so I could nip out and get some just as easily as I picked from my herb garden. My kids and I would also nibble it and other wild edibles when out on hikes. Lovely photo by the way. You’ve captured all the detail very crisply and handled capturing the tones within the white incredibly well. I’m glad I managed to teach you something new Laura 🙂 And it’s great to meet someone who has actually used ramsons for culinary purposes! Its one of those things I’ve never actually tried whilst out walking, but I have tried the leaves in a salad. And thank you for the kind comment about the photo. Munching on wild edibles is great fun. I don’t risk fungi though as I’m not confident enough in my ability to identify the dangerous ones. Nice photo, Andy, and I love the smell of wild garlic. Your new website is looking good! Double thanks Jo 🙂 🙂 The whole menu structure is taking a wee bit longer than I intended, but it’s getting there slowly. A sumptuously crisp photograph. I used to dislike the smell of wild garlic but I’ve kind of grown to like it since I noticed what beautiful flowers it has. You’ve taken an exquisite shot there. I love the smell of it Millie, but with your hubby not liking the smell of garlic, it wouldn’t be something you would use. There used to be loads of it growing around Surrey, do you get much around you? Not really. We used to see quite a lot of it when we lived in Wantage and there’s plenty around the grounds of Fountains Abbey. It has its own unique smell.